Not Verified | To start off our trip down was 1 hour delayed. Then on the flight the flight attendant ignored me. So much so that my husband had to order my drinks twice or i wouldn't have been served refreshment. The on our flight home the only word that can describe our experience is nightmare. Beware if you are using this airline. They treat their customers terribly. Our flight home was cancelled an hour before we we're supposed to fly home. When we were at the airport waiting no explanation was given and we were told it could be days until we could get a flight home. We had no other choice then to book another flight home with another airline. Once home we requested a refund for a flight they cancelled and we have been told we won't get one because the flight was cancelled due to "weather" and their only obligation was to provide us with an alternate flight home. Even if that flight was days later? So our options were to stay good knows where in Cancun for multiple days waiting to get home with both kids or pay out of our own pocket and get a flight with another airline. All other airlines had no problem flying into Vancouver with the "weather" but Interjet later said it was due to bad weather. This is their way of being able to cancel a flight and not have to reimburse their patrons. Please can someone tell me how this is an acceptable way to treat customers who paid for a service they never received? Not to mention that we didn't receive our baggage until a week later. "great big thanks to her"
✅ Trip Verified | Mérida to Toronto via Mexico City. We had a ticket with the wrong name. Some how we got to Mérida with the wrong name but when we were on the way home it was caught. We were unable to call the help number and get it changed. We were fortunate enough to have an agent at Interjet that helped us navigate the situation and get us home. A great big thanks to her, she is a keeper for any airlines. Thank You Teresa. ✅ Trip Verified | Acapulco to Houston via Mexico City. First encounter of how shoddy Mexico City airport is and the poor customer service interjet provide: Initial flight was outward Houston to Acapulco via Mexico City. We were told to collect our luggage at Mexico City for domestic leg. 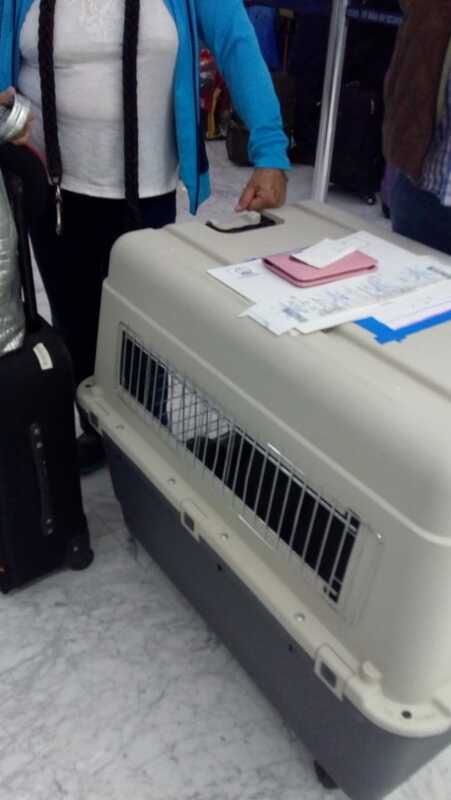 Interjet staff gave wrong information for luggage collection and subsequent inquiries told us the luggage would automatically forward with the flight. It did not, however a helpful employee at Acapulco arranged the luggage for a later flight so we waited just 3 hrs. 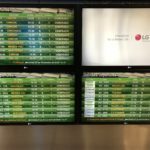 Second encounter with Mexico City airport: the return journey had lessons learnt, this time luggage would be collected as needed, however we were told it would automatically forward to Houston flight. On arriving at Mexico City I asked the first interjet employee I saw whether luggage would be forwarded and also where we should go for connecting flight to Houston. She confirmed luggage situation and told us to wait near gate 28 for updates. What she failed to say was that flight updates were never going to appear on terminal screens. The flight status remained gate B then gate G which implies no gate allocated. We did not hear any announcement or final call and until the flight had departed (late), unaware a gate had been allocated. 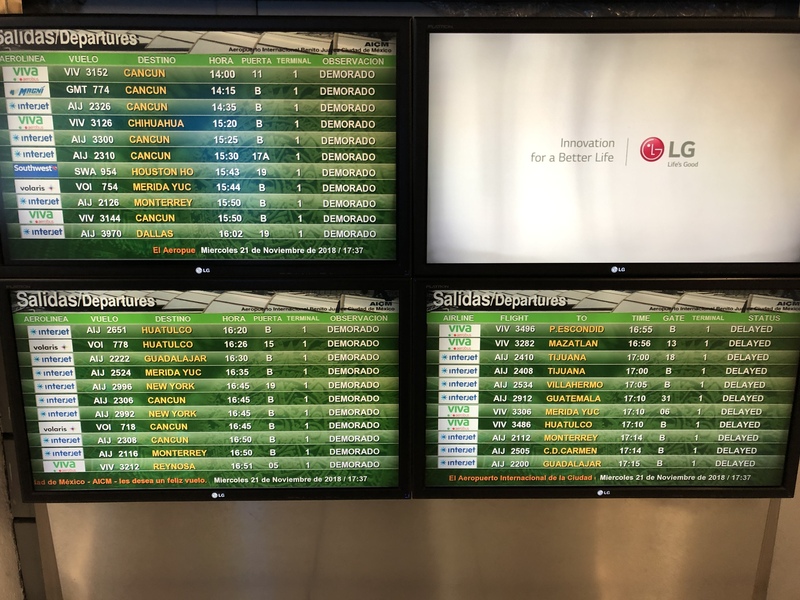 Interjet duty manager Rosario Lopez was totally indifferent and gave the impression it was our fault for not realising the chaos that is México City airport. Check-in desk agent said everyone knows this airport is terrible, and was apologetic for our plight but was unable to help with any resolution as his manager had dismissed our complaints. If you want customer service you should pay more and fly with a professional airline. "anger customers to increase revenue"
✅ Trip Verified | Guatemala to Mexico City. I experienced a disturbing event checking in for my return flight on Interjet Guatemala/Mexico city. NDYZYQ. At check in the woman said I would have to buy a return ticket to Mex. on Feb. 14. I explained I live in Guatemala and am returning home. I must go to Mexico every 90 for a new tourist visa. I don’t need this ticket. She said I can’t board without the ticket. I will speak to a supervisor, I said, which is a young, arrogant man. He said you must buy this ticket. I said no. After arguing for 5 minutes, and the flight was boarding, I bought a ticket from the nearby Interject ticket office at the Mex. city airport. A ticket I didn’t need, didn’t want and at a higher than normal price. When I arrived at immigration in Guatemala City, I explained what happened and immigration told me this ticket is not required. Interjet does this on their own. Why? They anger customers to increase revenue? I tried twice to call customer service, once in the US and once in Guate. Each time I was disconnected. Apparently Interject doesn’t want to speak to clients. Other travelers have complained about this crass ruse. It would cost me $35 to change the ticket. I often fly Interjet to Mexico and I’ve never before been required to buy an exit ticket to enter Guatemala. ✅ Trip Verified | Cancun to Vancouver. The airline inexplicably canceled our flight (apparently due to weather, though no other carriers canceled their flights to the same destination). It then rebooked us four days later. We were forced to either buy a new flight home or spend 4 days stranded with a young child in a different country. The customer service was beyond abysmal. Will never, ever book with this airline again. ✅ Trip Verified | Montreal to Huatulco via Mexico city. After reading all negative reviews on this site, I was afraid to fly Interjet. I had forgotten to read reviews before I booked. But I was happily surprised. No problem whatsoever with either delays, impoliteness from personnel, etc. We found that the legroom was one of the best, actually the best, you get in an economy airline and we fly very often to different places. The staff was polite. Service also good. Sandwich provided ok, but what do you expect on economy flight! Ground staff also polite. I guess you get the treatment you deserve, treat them nice, they will treat you nice. I hesitate to recommend since reading all the bad experiences, but ours was great. ✅ Trip Verified | New York to Cancun. The worst airline ever! So much miscommunication and nobody know what they are doing! Very disappointing and will never fly with them again. "they chose to cancel it"
✅ Trip Verified | Dallas to Zihuatanejo via Mexico City. On Jan. 2, I was supposed to return home via Mexico City. Interjet cancelled the first leg (Ixtapa to Mex City) of my return trip to Dallas because of foggy conditions in Mexico City for a few hours. They did not just delay the flight; they chose to cancel it. They said that Interjet has no responsibility because fog is not Interjet's fault, so they did not offer me an alternate flight to return home or paid for my lodging, etc. They will not refund me for the flight they cancelled. I had to find my own alternate flights on other airlines for me and 3 other family members. The incident cost me $3,000 and an extra travel day. Not Verified | Guadalajara to San Francisco. On time and courteous ground staff managing the many lines queuing for check in. Boarded efficiently. Cabin crew giggling at each other when another passenger being given a bag for illness. Didn’t check back on passenger or provide any support. 2 hours in no cabin service - inquiry made - due to turbulence - we had not noticed anything unusual or exceptional turbulence. Asked for a glass of water. Provided begrudgingly. Service to cabin commenced 1 hour 45 mins prior to landing. No smiles, no customer service, no positive representation of the brand they work for. Giggling among selves but no smiles for customers. Toilet - no tissues or toilet paper or soap in dispenser when I attended. Informed cabin staff - glared at me! Unbelievably poor flight crew. 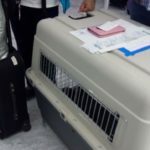 Not Verified | I am appalled at the way Interjet handled my case. I was among the hundreds of people affected by the closing of the airport was in Tijuana on December 21. As a result of this chaos, I was unable to fly out of Tijuana, Went back to United States and flew via Delta to my destination. Today, I tried to change my flight back and Interjet refused to work with me and wanted to charge me four times more than what I paid for my ticket origin ally. Staff are uncaring and not helpful.